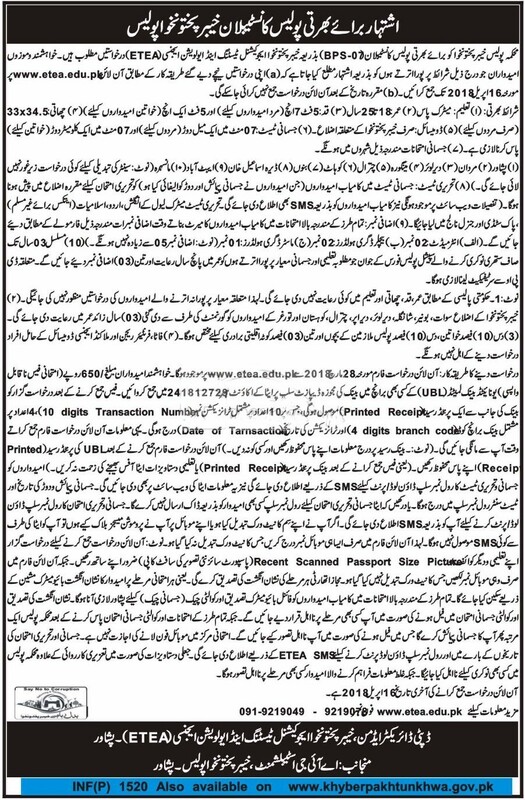 Application are invited for following posts in KPK Police Constable Jobs (500+ Vacancies) latest in pakistan and you apply online through etea.edu.pk. KPK Police Department has authorized Educational Testing & Evaluation Agency ETEA to conduct screening test of the candidates. The online application forms will be available at ETEA website www.etea.edu.pk from 28th March 2018. 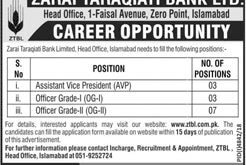 The candidates willing to apply are advised to submit fee of Rs.650/- in any branch of United Bank Limited UBL. The closing date for receiving of applications is 16th April 2018. The applications received after due date will not be considered. Further details regarding applying procedure are available at ETEA website www.etea.edu.pk. The candidates who will submit fake documents may have to face strict legal action and their service can be concluded at any time.